Plug-in hybrid by Bentley: The British company had finally given in to the SUV trend when they presented the EXP 9 F concept at Geneva in 2012. The ernomous car is supposed to go into production as ‘Falcon’ in late 2015. It will be based on a new platform and the first of a series of PHEVs from Bentley. New Nissan Leaf: The 2014 Leaf just went into production and will arrive at American dealerships next week. The latest version of the electric Nissan benefits from a new EPA rating, with the electric range now at 84 miles instead of 76. The new Leaf costs 180 dollars more, starting at a price of 29,980 USD, but features the rear view camera as standard. Successful kick-starter: Faraday introduced their concept of a retro cargo e-bike called Porteur to the crowds for funding already in 2012. At this year‘s CES, Faraday is showing the production model that will have its first deliveries this spring. The Porteur pedelec features lovely details like a double top tube that holds the battery powering a 250W front-hub motor or a handmade leather saddlebag. However, those come at a price of 3,500 dollars. Electric Car Sales in France. In France, a total of 46,785 hybrids were sold in 2013. That is a market share of 2.61%, a clear rise compared to 1.53% in 2012. The sales of all-electric vehicles have increased from 5,663 in 2012 to 8,779 last year. MyEnergi Lifestyle, Plug Power, Technical University Munich. MyEnergi Lifestyle expands: The collaborative project by Ford, Infineon, SunPower and other partners has been designed to demonstrate how consumers can save energy by integrating home appliances in a smart way. The 2.0 version showing at CES, now also integrates home energy storage. The two families in the demonstration program successfully managed the combination of a Ford C-Max Energy PHEV, solar power and other intelligent devices and saved 1,200 dollars on fuel alone. Fuel-cell range extender: Plug Power will develop hydrogen fuel-cell range extenders for delivery vans of FedEx. The project is funded by the US Department of Energy with three million dollars. The devices will be installed in 20 vehicles and thereby double the range of the electric delivery vans. Virtual EV study: The Technical University (TU) of Munich, Germany, has rolled out a program where drivers of non-electric cabs and commercial vehicles can simulate the use of an electric car. With help of a smartphone app the driver is able to collect real-life driving data, which then will be used to calculate how an electric vehicle would have performed under those driving conditions. Carlos Ghosn, CEO of Renault-Nissan, apparently has such high hopes for the new Nissan Leaf, that they even defy arithmetics. Chris Umiastowski is the growth investor for Globe Investor Strategy Lab and places his best bet on Tesla. He thinks that most people do not yet understand the full implications of electric transport. "Sailing" in the VW XL1. Video-tip: “Fully Charged” takes the efficient VW XL-1 for a ride. Their challenge: stay in ‘sailing’, that is electric mode, as long as you can. Skip to minute 3:50 if you just want to see the test drive. Volvo Concept XC debut: The latest concept car from Sweden will premier at the Detroit Auto Show next week and is a preview of the new XC90. Volvo announced to introduce the XC90 worldwide at the end of 2014 available with a plug-in hybrid drivetrain. Extended version of Kia App: At CES, the Korean automaker presents its upgraded UVO app. The latest version brings telematic functionalities for Kia’s upcoming EVs. The new UVO system provides information on battery status and remaining range. With the app, drivers can also preset charging times for the car on their phone. Furthermore the new voice recognition feature will enable users to control the infotainment system more safely. First look at the Denza EV: The joint venture of Daimler and BYD has been working on their Chinese Denza for some time. Now, a few snapshots from inside the production facility and the car itself surfaced. As the exterior looks somewhat like the Mercedes B-Class, the interior resembles more a BYD E6. In the U.S. electric cars list a year with a record growth of 228.88 % in 2013 compared to 2012. Annual sales of 46,148 all-electric cars are almost in a level with PHEVs with 48,951 sold last year. In the same period 549,578 hybrids hit the roads of North America. Autonomous passenger carrier: Induct has introduced its driverless e-shuttle Navia to the U.S. market at CES. It carries up to eight people and drives autonomously at 12.5 mph (19.1 km/h). Navia is charged inductively and uses robotics, laser mapping technology and sensors to safely make its way through unknown terrain. It is already in use in Europe and Asia. Self-balancing skateboard: Inspired by the hoverboard from the movie “Back to the future”, the start-up Future Motion is looking for investors in their Onewheel. It is controlled by bodyweight, using gyroscopes and accelerometers. With eleven kilos and a running time of 20 minutes, its usefulness seems to be a bit limited though. Daniel Goeudevert held top management positions at Citroën, Renault, Ford and VW. He has no doubts that electric transport is the future and advises the German car industry in particular to take the lead in this movement. Rudolf Krebs is Group Commissioner For Electric Vehicle Drive Systems at VW and explains the corporation‘s platform strategy for vehicle development. Charging behaviour of EV users, EV Predictions for 2014. Study tip: “Understanding Charging Behaviour of Electric Vehicle Users” by the TU Chemnitz, Germany, identifies different types of EV drivers with subjective levels of range anxiety and the respective charging patterns. Click tip: Navigant Research has published a paper with ten predictions for the global EV industry in 2014 which Green Car Congress has summarised avidly. The year ahead is looking good! Toyota, Fiat, Chevrolet, Smart, Electra, Trek. Toyota goes H2: At the opening of the CES in Las Vegas, two fuel-cell cars took centre-stage. The Japanese are presenting their FCV concept in shiny blue next to its „ugly“ brother – a prototype in camouflage that had been tested on U.S. roads for more than a year. The FCV will first be introduced in California in 2015. Tiny, tinier, the tiniest: Jim Motavali compared the Fiat 500e, Chevrolet Spark and the Smart ED. All three had their “virtues”. In the end the American built suited Motavali best, with the Spark being over the Fiat “by an electron”, while the Smart excited most by being a convertible. Electra taken over by Trek: The mayor bicycle company will provide logistics and financial support to its smaller competitor based in California. However, Trek does not want to interfere with Electra‘s product management or branding. The SMMT counted 191 newly registered pure electric cars to hit UK roads in December 2013. With a total of 2,235 hybrid cars, 295 of them were eligible for the government’s plug-in grant. In Germany, 445 new electric and 2,062 hybrid cars were registered in December. INRIX, BMW, Renault, Battery prices. Intermodal navigation: INRIX partners with BMW to introduce their intermodal information system that integrates local public transport data into the on-board navigation. The system will be used in the i3 and i8. It informs drivers about alternative public transport connections and will reroute the driver considering the current traffic and range status. Renault Zoé Next Two: The French carmaker just announced the next stage of testing of its autonomous electric car. The completely connected Zoé “Next Two” is set to be out on the roads already this year in preparation for bringing it to the market from 2018. Battery price speculations: Savvy internet users and EV fans have tracked replacement batteries for the Chevy Volt listed at a retail price of 144.12 USD (105.80 EUR) per kWh. Hence, questions arose on how much these batteries actually cost GM. Has the magical line of 200 USD/kWh (147 EUR/kWh) McKinsey predicted for 2020 been crossed already?! Friedrich Eichiner, Bob Carter, Paul Hollick. Friedrich Eichiner is the CFO of BMW. In an interview with a German newspaper, he talks about why even he is still waiting for his i3 to arrive and why the Bavarian e-car might become for the electric car market what the iPhone was for telecommunications. Bob Carter is Toyota’s senior vice president of automotive operations. When presenting the FCV, he was most certain of betting on the right technology. Paul Hollick, chief commercial officer at Alphabet, believes that a tipping point for acceptance of EVs in fleets is reached since the involvement of mayor car manufacturers. Formula E goes public, wrong PEV policy strategy in the U.S.? Video tip: The Formula E is starting to make some noise – marketing wise – and filmed Lucas di Grassi taking a ride down the legendary strip of Las Vegas. 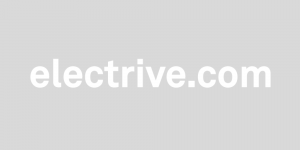 Study tip: Researchers from the University of Michigan and the Rochester Institute of Technology criticise the Obama Administration for a failed PEV promotion. Instead of simply focusing on mainstream consumers, they suggest more strategic and cost-effective incentives. Fisker back in court: A new offer by the Wanxiang Group could see the sale of Fisker being turned around at the last minute. The new bid of 24.75 million USD (18.17 million euros) by the owners of A123 is favoured by creditors and investors. Fisker, however, would like the court to approve the original offer of Richard Li, as they blame Wanxiang for being partly responsible for their bankruptcy. Updated Sport quattro: Audi is debuting a new and powerful plug-in hybrid car at this year‘s Consumer Electronics Show (CES) in Las Vegas. Apart from a special headlight system, the Sport quattro laserlight concept features an electric motor with 110 kW powered by a 14.1 kWh battery pack that lasts for a 30 miles of electric driving. Lincoln MKZ Hybrid recall: 7,153 MKZ Hybrid cars assembled between April 2012 and September 2013 are being recalled in the USA. According to a notice by the NHTSA, an error in production could cause the automatic car to shift out of ‘Park’ without the driver depressing the brake pedal before. Test ride the BMW i8: Greg Kable got his hands on a prototype of the upcoming BMW plug-in hybrid and tested it on the Miramas track in France. After extensively trying all driving modes while going through all kinds of curves and situations, Kable has no doubts about where the i8 belongs: „Driving it, is definitely new world“. U.S. Plug-In Electric Vehicle Sales 2013. The Chevrolet Volt is with 23,094 sales the most sold PHEV in the U.S. last year. The Nissan Leaf follows closely with 22,610 units sold in 2013 with its best month ever in December (2,529). Ford, Elio Motors, Tsinghua University. Sunny side up: Ford is to reveal its C-Max Energi as “Solar Concept” at the CES. 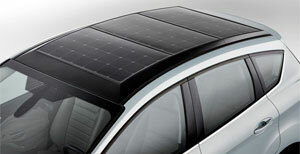 The new PHEV features a so-called „solar concentrator“ that works like a magnifying glass. When parked under this canopy, focused sun-rays hit solar cells in the roof of the vehicle and charge the plug-in hybrid while the car autonomously follows the way of the sun rays. So far, the solar concept is not set for production. Elio Motors trike debut: The company presents its new three-wheeler at this year‘s Consumer Electronics Show in Las Vegas. The high-efficiency gas-powered vehicle is said to cost 6,800 USD (4,990 euros) and is scheduled for early 2015. Later versions might feature an electric motor. Stability through selectivity: The professors Qiang Zhang and Fei Wei from Tsinghua University in Beijing, China, have developed an ion selective membrane system to make lithium-sulfur batteries more stable. The membrane separates lithium and polysulfide ions, thus suppressing the destructive „shuttle-effect“ on the anode. Most clicked Link on monday: Speculations about GM buying Tesla. Peter Schmidt, editor of the British newsletter Automotive Industry Data (AID), is not impressed by the trickling sales of the new electric BMW. He had expected a run on the i3 following the massive marketing campaign preceding the launch. Elevated cycle paths, Honda MC-B Driving Review. Click tip: Plans for a network of elevated cycle paths in London just got rejuvenated by star-architect Sir Norman Foster. The SkyCycle could channel up to 12,000 cyclist high above traffic. Video tip: In this mini movie by AutoMotoTV you can see the Honda MC beta in action in some Asian city. Commentary is missing, so sunny weather and uplifting music are all you get, to imagine what it must be like to drive this electric city car. Audi’s big plans for the future: The German carmaker will invest 22 billion euros (30 billion USD ) in new models until 2018, thus expanding its range from currently 49 to 60 products. Already, Audi has trademarked new model names like SQ2, SQ4, and Q9 as well as f-tron. The latter indicates that there might be a fuel-cell powered Audi in the future. Speculations about GM buying Tesla: A trading analyst told CNBC that General Motors or other established car manufacturers might show an interest in the Californians already in 2014. Tesla CEO Elon Musk has so far denied any plans to repeat his move from 2002 when he sold PayPal to eBay. New Mitsubishi hybrids for the USA: The Japanese want to bring a new Evo, which is supposed to not have anything to do with the current Lancer to the U.S. market no later than 2017. By then there will also be a new PHEV version of the Pajero (Montero in Europe). The start of the new Outlander PHEV however, is delayed until 2015 due to delivery problems at Mitsubishi’s battery supplier Lithium Energy Japan (LEJ). Tesla rating revisited: The Model S was the highest-rated car Consumer Report (CR) tested (99 out of 100 points). After one year and 11,380 miles (18,500 km) driven, the testers noticed a few minor flaws with the avg. range being “only” 225 miles (362 km) and range losses when using the air con or not charging for more than a day. However, CR is still „impressed by the quiet glide and instant and irresistible power“ of their Tesla. Tesla posted good news when saying that 2.1 million kWh had so far been “delivered” by Superchargers. This equates to about 9.6 million miles (6 million km) charged. New Mercedes test centre in Germany: Daimler will publish plans tomorrow to invest 200 million euros (271.7 million USD) in a new testing and technology centre in Immendingen, a town in the south of Germany. On what used to be a military training area, the company’s autonomous driving systems and new drive train technologies will be put to the test. If approval is granted, construction could begin in autumn 2014. Easy access e-car: Croatian automotive designers are running a crowdfunding campaign for their “Equal” vehicle. The all-electric car has an extendable ramp in the rear for barrier-free wheelchair access. Once rolled in, physically challenged persons can steer, brake and accelerate with one hand. Super-sized e-bus for Bogotá: The Chinese BYD produced an extra long version of its all-electric bus for the Columbian capital. Instead of the twelve metres of the K9 model, the new e-bus measures 18 m. It features the usual in-wheel motors and in tests ran 240 km (150 miles) on one charge. Hans Streng is the head of electric vehicle infrastructure at ABB. In his article worth reading, he paints the past and future of the automotive industry electric and believes that the tipping point is near due to ever declining battery prices. Traveling with Model S in Norway, Californian Vehicle-Grid-Integration. Video tip: The Norwegian Bjørn Nyland kept a video-log of his travels with a Model S in the Nordic cold. Even with cargo and a detour to collect a cat, he managed the 375 kilometres (233 mi) from Oslo to Trondheim on a single charge and a residue range of 41 km (25 mi). Download tip: The California Independent System Operator Corporation (ISO) now released a roadmap for the integration of EVs into the grid called Vehicle-Grid Integration (VGI). 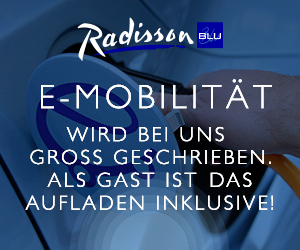 Voxan Wattman, VW e-up!, Ford, BYD, Nissan, Saab. 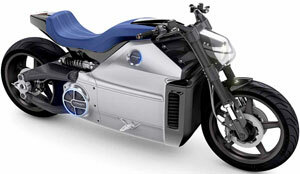 Voxan presents powerful e-motorcycle: The French manufacturer unveiled the Wattman at the Paris Motorcycle Show. The electric motorbike boasts 200 HP and accelerates from 0-100 km/h (60 mph) in 3.4 seconds. The super-e-bike’s most striking feature is its exoskeleton that replaces the frame and contains all components of the powertrain. Small price tag for a small car: In the UK, the VW e-up! is now available for 19,450 pounds (23,203 euros), after the 5,000 GBP (5,965 euros) government subsidy. The EV has a range of up to 93 miles. UK customers can also take home an optional wall box, with which the car’s 18.7 kWh lithium-ion battery can be fully charged in six hours. Ford gets new plug-in vans: Not only will the American car maker bring the C-Max Energi to Europe in 2014, it will also install the van’s inner workings into two larger models. According to the German magazine “Auto Bild,” the S-Max and Galaxy will also be available as plug-in hybrids by the end of next year. BYD-Leaks: A new document found online allegedly shows BYD’s planned product range. Apparently, the Qin plug-in hybrid will be offered at 18,000 dollars (13,000 euros), including government subsidies. The company will also launch the G1, S1, S3, and M2 but has not specified which drivetrains will be used. Just a copy? Nissan is being sued over its BladeGlider concept by millionaire Don Panoz who says it “borrows” heavily from his Delta Wing racing car project, which Nissan helped financed. The Japanese carmaker has not yet commented on the matter. Electric Saab coming soon: The production lines at the Trollhättan plant in Sweden are rolling again – under Chinese management. First up is the Saab 9-3 petrol-run car and an electric version set to follow in spring 2014. The first models will be sold in China. Partner Qingdao has already ordered 200 models. From Munich to Barcelona with Renault Zoe. A mere 51.50 euros – that is what Werner Hillebrand-Hansen paid to charge up his Renault Zoe on a trip from Munich to Barcelona. He needed exactly 210 kWh on his 1,362 kilometres (854 m) excursion. Graz University, Mazda, NXP Semiconductors, Skoda Electric. Light and airy: Researcher at the Graz University (Austria) and University of St. Andrews (UK) have found a way to increase the efficiency as well as capacity of lithium-air batteries. By using titanium carbine as electrodes instead of carbon, and light weight oxygen instead of heavy ionic structures, researcher say, storage capacity could be increased tenfold. Rotary range extender: Mazda has revived its Wankel rotary engine, giving it a purpose in a new context. The rotary now serves as range extender in a Mazda2 EV prototype, adding an extra 200 kilometres (125 miles) to the battery pack. New connection? NXP Semiconductors and Datang Telecom have established a joint venture for the development and marketing of semiconductor solutions for electric and hybrid vehicles in China. It is the first of its kind company in the country. Chinese authorities have yet to give the business a green light. Skoda Electric plans e-busses: The Czech manufacturer takes to the streets with two electric busses. The first model was introduced in September and has a range of 150 kilometres (93 miles). Charging takes place at the depot overnight. The second e-bus, due in 2014, is said to have a range of 30 km (19 m) and can be recharged quickly at bus stops and terminals. Remi Bastien is Renault‘s head of research, advanced studies and materials. He believes that battery technology still has a lot of potential that has yet to be tapped. Video Tip: Tesla has been braving through fire and now ice. A new video highlights the Model S’ rather cool features, which are designed to make it run smoothly even in winter. Click Tip: The Californian government has published a guide aimed at cities and provides recommendation for the construction of charging stations and hydrogen fueling stations. The goal is to have 1.5 million EV on the roads by 20150.